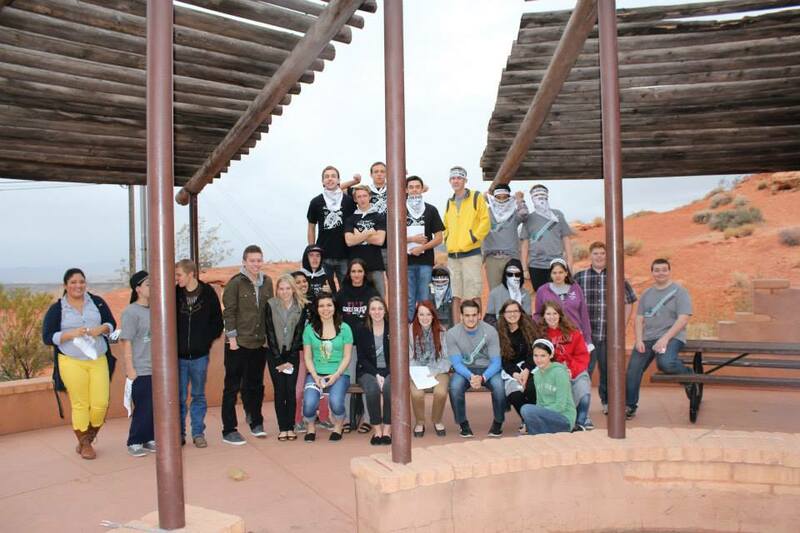 UPDATE Nov. 29: Photos added from the Washington County Youth Coalition’s 2013 Great American Smoke Out on Nov. 21. Click here to see the full Facebook photo gallery. SALT LAKE CITY – In Utah a person can legally purchase tobacco and e-cigarette products at 19. State legislators want to raise the legal age to 21, and a bill that would do just that is advancing through the Legislature. On Wednesday, the Legislature’s Health and Human Services Committee passed a bill that would raised the legal smoking age from 19 to 21. Those who passed the bill believe it will promote better public health and act as an additional deterrent to teenage smoking. Opponents of the bill aren’t as optimistic. Rep. Brian Greene, R-Pleasent Grove, said 19 wasn’t a deterrent to smoking. “What makes you think that 21-year-old age will be a deterring factor?”he said. If the bill passes in the upcoming 2014 legislative session, Utah will become the first state to raise the smoking age. The Washington County Youth Coalition, a youth group focused on tobacco, substance, and alcohol prevention, is participating in the National Great American Smoke Out event on Nov. 21 this year. The GASO is a national event that celebrates those that have quit smoking, and encourages tobacco users to quit. 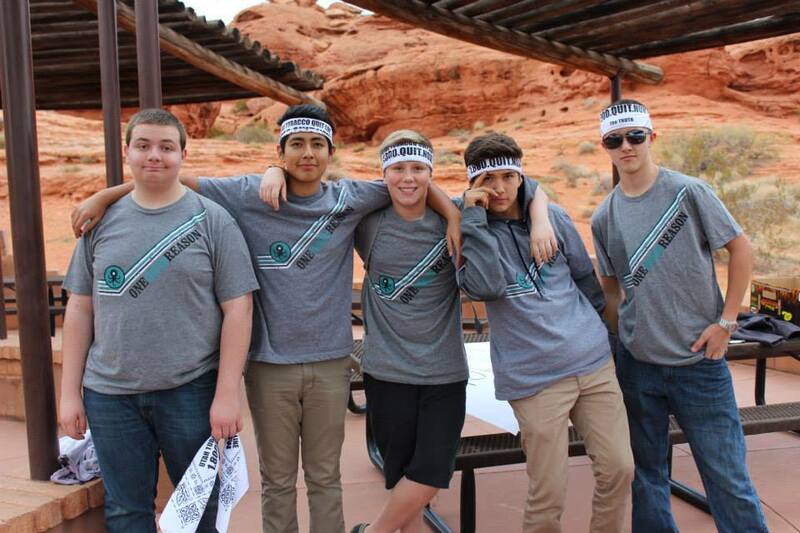 This year, the coalition’s community event will be held at the Dixie Rock, also known as Pioneer Park, from 4:30-5:30 p.m. At the event the youth group will offer information regarding resources available to quit. Free “quit kits” will be given to those wanting to quit smoking, which have been assembled by the members of the WCYC. 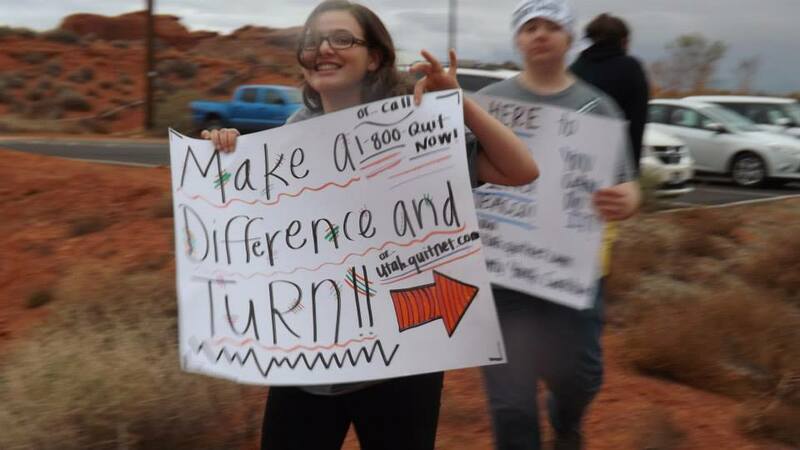 They will also display posters educating the community on the 1-800-QUIT-NOW hotline, as well as the utah.quitnet.com website. A lot of people are turning to e-cigarettes to quit smoking, and the WCYC are concerned. These devices have not be regulated, and they have not been tested to prove they help in cessation. The group’s statement issued on the event stated it wants to offer resources that have been tested, and information to help. For those unavailable to attend the event, quit kits are available at the Southwest Utah Public Health Department. When: Thursday, Nov. 21, 4:30-5:30 p.m. If the law is you have to be 21 to do adult things, then it should also be that a person cannot serve in the military or be tried in a court of law as an adult until they are 21. This is just another attempt to insert church into state. You cannot legislate morality. I think that everyone will agree that smoking is bad for you. But that doesn’t mean the state, (or the church,) has any right to prohibit smoking. It is all a matter of control. Some misguided folks belief is that people are not smart enough to make their own choices. Even the good lord gave us the option to chose. So who do these folks think they are, in trying to take those choices away from us? If it doesn’t come from the lord, then most likely it comes from the devil. More meaningless, ineffectual regulation from legislators who claim to be opposed to government regulation. What about them 19 and 20 year old kids that are already addicted to tobacco? Think they’re going to stop just because someone told them its illegal? Those kids will still get tobacco. This is an act of total government take over. One thing at a time before everything is illegal. When did New York City Mayor Bloomberg come to Utah?? The “church” lowers the age for young adults to serve a mission, and now they or the state want to decide what is best for some of us?? Sheesh….some one tell that armless and/or legless 19- 20 year old vet that he/she can’t buy smokes?!?!?! Seriously, WTH is happening in this country?!?!?! This has nothing to do with church, these kids are taking a stand and saying they dont want to have to see other kids and adults DIE from smoking! I think they are brave! They have the right to stand up for what they believe in! Smoking causes Cancer not only to those who smoke but to those innocent by standers who get the 2nd hand smoke! I SUPPORT there cause! KEEP GOING KIDS! Don’t take away any more of our rights by trying to raise taxes or money somewhere else and tell us what to do policing everything everywhere. The people are done under payed over taxed is Bull. what age for this and that , gay or not don’t run the lives of the people . The government is doing all they can to take away our rights we don’t need legislation for any more crap.. If its not broke don’t try to fix it!